GameStop has been subpoenaed by the New York Attorney General's Office over deceptive online ads that offer discounts but actually result in small, recurring charges being applied to customers' credit cards. GameStop and 21 other "popular online businesses" were the subject of an investigation into discount offers presented to customers as they shopped online which actually lead to separate "membership program companies" that charge fees for their services, usually without the knowledge of the customer. Specifics about the nature of the program and the costs involved are typically "buried in fine print and cluttered text," according to a statement by Attorney General Andrew M. Cuomo, and because of the small amounts involved, many customers don't even notice the charges. "This online scheme has impacted the finances and tried the patience of tens of millions of consumers nationwide," Cuomo said. "Well-known companies are tricking customers into accepting offers from third party vendors, which then siphon money from consumers' accounts." Online movie ticket seller Fandango has agreed to halt the practice and Cuomo said he expected the other retailers involved, which along with GameStop includes high-profile companies like Barnes & Noble, TicketMaster, FTD, Staples, Pizza Hut and Expedia/Hotels.com, to do the same. 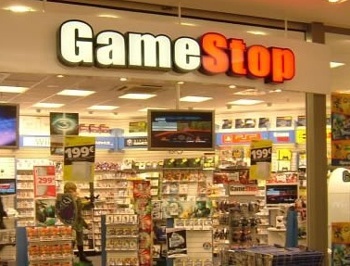 GameStop Vice President Chris Olivera said the company was still looking into the complaint but indicated that it would cooperate with the investigation. "I can confirm that we were subpoenaed," he told Kotaku. "We are still reviewing the matter but do intend to work fully with the New York AG's office. Beyond that, I would not be able to provide any additional comment." Let this be a lesson, kids: Always read the fine print before you start throwing around your credit card number. It's really not that complicated.